Are you thinking about buying a caravan? Many adventurous seniors decide to make the most of their retirement by exploring Australia, and caravanning can be a convenient, affordable and enjoyable way to see different parts of the country and take a break from the everyday routine. You can choose to hire a caravan, or you can purchase your own. If you decide to buy one, there are a few factors you might want to take into consideration when deciding which model and make to get. Are you going to take long trips or short trips? If you are planning to be away from home for long periods of time, you will need to be more aware of comfort and space than if you are just going to stay away for a few nights here and there. If you are planning to drive longer distances, a shorter caravan is easier to manage, but if you are driving to closer destinations and staying for longer periods of time in one place, you might prefer to prioritise comfort and choose a larger model. What towing capacity does your current vehicle have? Unless you want to buy another car to tow your new caravan, your options may be limited by the towing capacity of your current vehicle. Make sure you are aware of how much you can safely tow, and don’t forget that towing a heavier caravan will also increase your petrol costs. Do you need a caravan with off road capabilities? Some caravans are intended for use on surfaced roads only, which can be a problem if you are planning something more adventurous. If you are going to be heading off the beaten track, make sure your caravan is up to the task. What internal fixtures and fittings are essential? Caravans come with an almost infinite range of possible fixtures, fittings and layouts. Before you start looking around, it is a good idea to work out what you can and can’t live without. Are you happy to use a microwave oven or eat out, or do you need a kitchen with proper cooking facilities? If you don’t mind using campsite facilities, you might be able to compromise on bathroom facilities in your caravan. If you are just going to be sleeping in your caravan and out during the day, or you are only going to be taking short trips, you might be happy with a fairly basic set up, alternatively if you plan to be away for extended periods of time you might want more comfortable living quarters. Where are you going to store your caravan? Caravan storage can be an issue, especially if you live in an apartment or townhouse. Even if you have a larger home, it can be inconvenient to have a caravan parked all year round in your driveway, or the street. 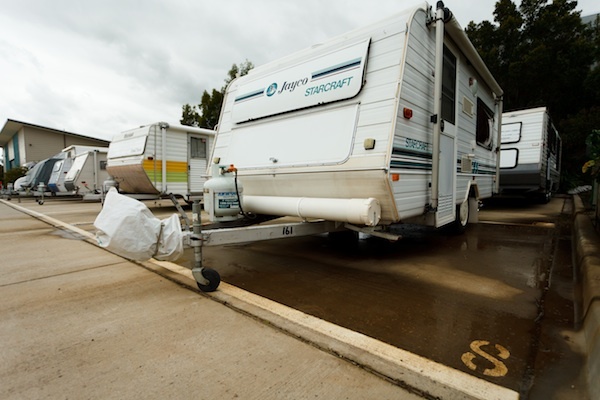 Many retirement villages, including those run by Retirement Communities Australia, can provide caravan storage for residents. This means that not only is your caravan out of the way, it is secure - which makes owning a caravan much simpler, and more convenient. A caravan is a major purchase. By taking a bit of time to consider the options and find the best type of caravan for your needs, you will hopefully be able to enjoy using it for many years to come.